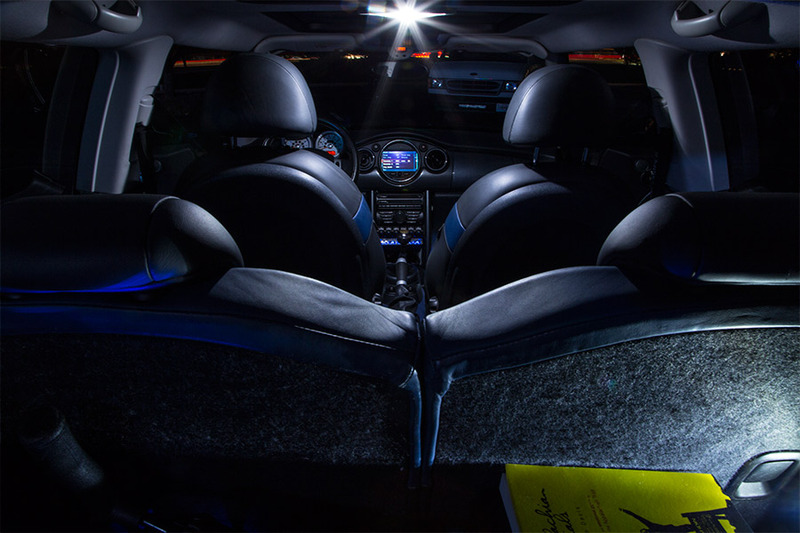 578 LED CAN Bus Bulb - 1 SMD LED Festoon - 44mm: Shown Installed In Mini Cooper Glove Compartment. 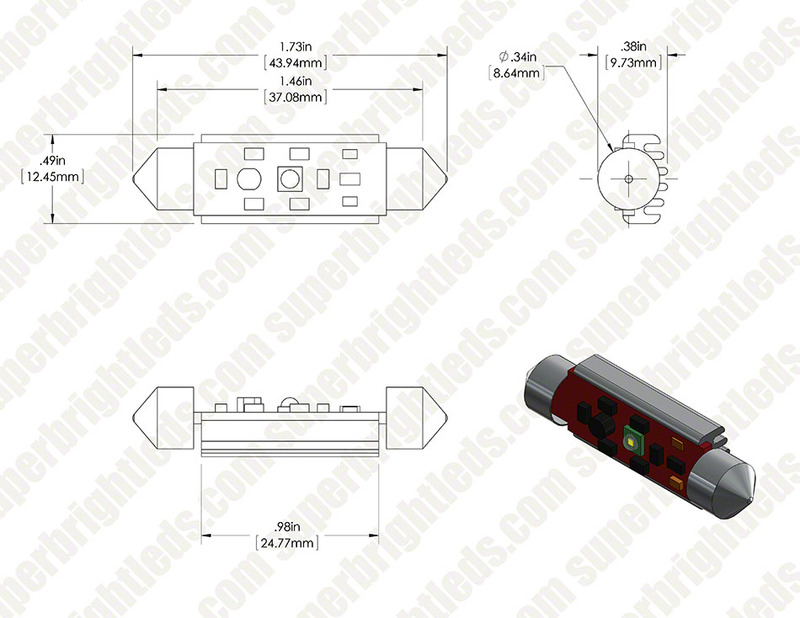 578 LED CAN Bus Bulb - 1 SMD LED Festoon - 44mm: 360° View. 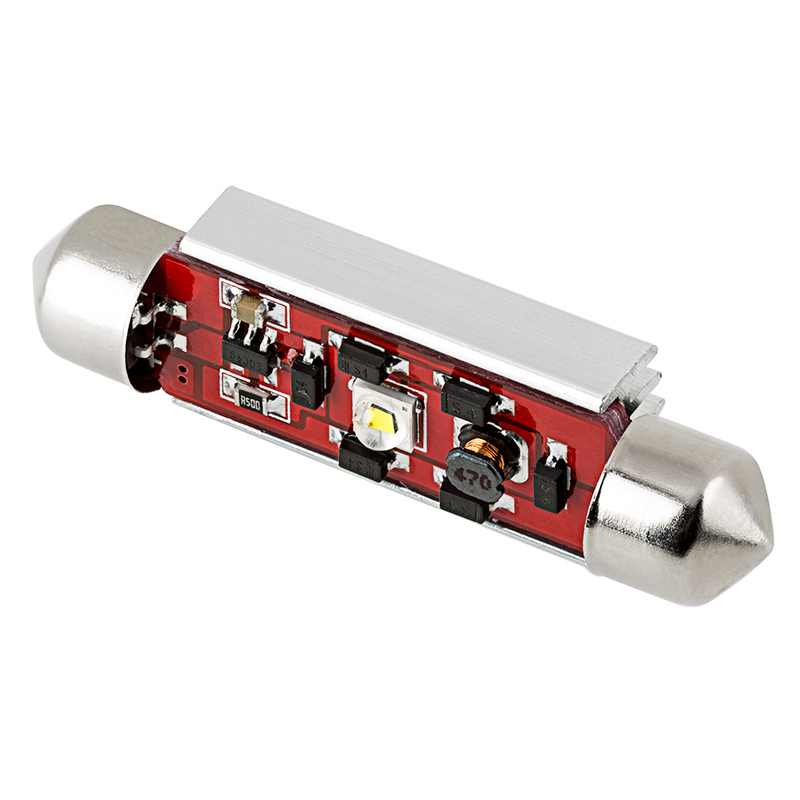 578 LED CAN Bus Bulb - 1 SMD LED Festoon - 44mm: Shown Installed In Mini Cooper Dome Light. 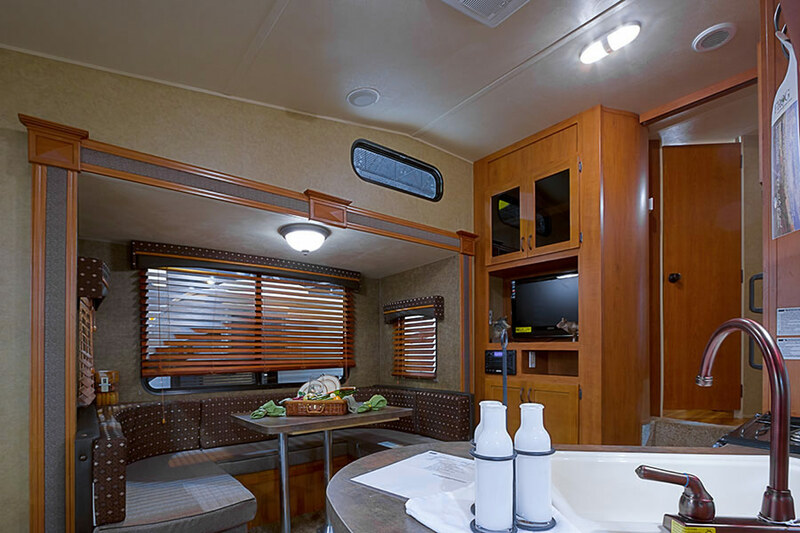 CAN Bus LED replacement bulbs can fit numerous vehicle applications, such as map lights, dome lights, trunk lights and footwell lights. This 4410 LED festoon bulb replaces a variety of traditional bulbs including 4410, 578 and 12864 bulbs. 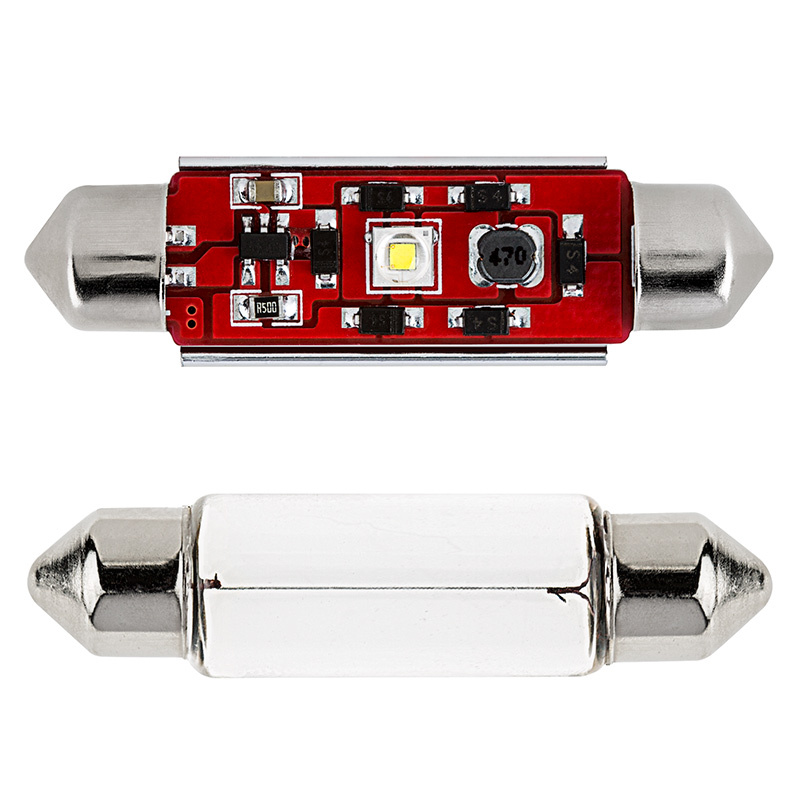 The 44-mm bulb has 1 SMD LED on a rectangular PCB (printed circuit board). 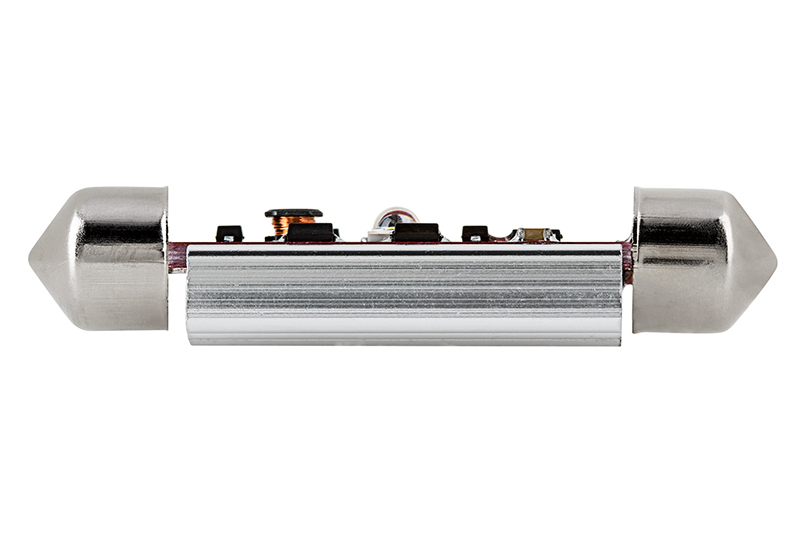 The LED is mounted to one side of the board for direct 130° illumination with no wasted light. 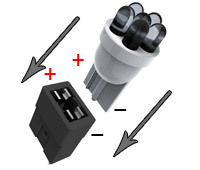 Error-free LED bulbs are designed to communicate with your vehicle's CAN Bus computer system and prevent "bulb out" error messages. Festoon base for easy plug-and-play installation. 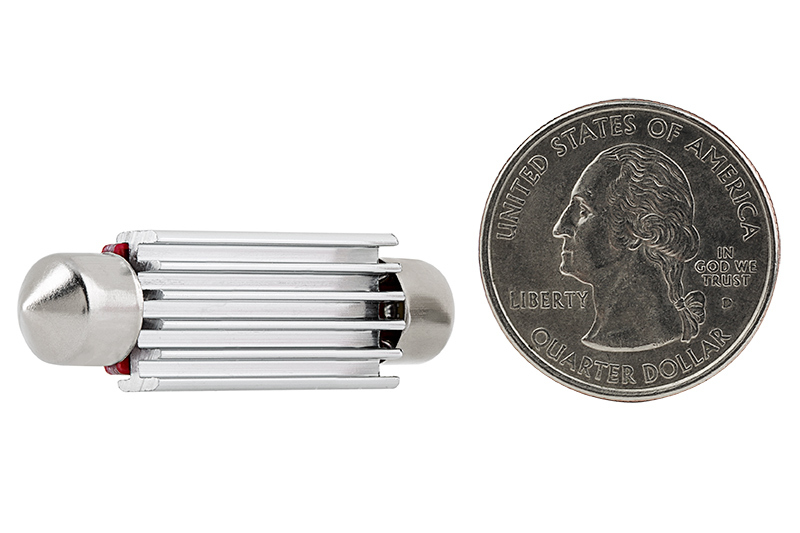 The energy-efficient bulb operates within a wide 10-16V DC range and has an integrated aluminum heat sink. 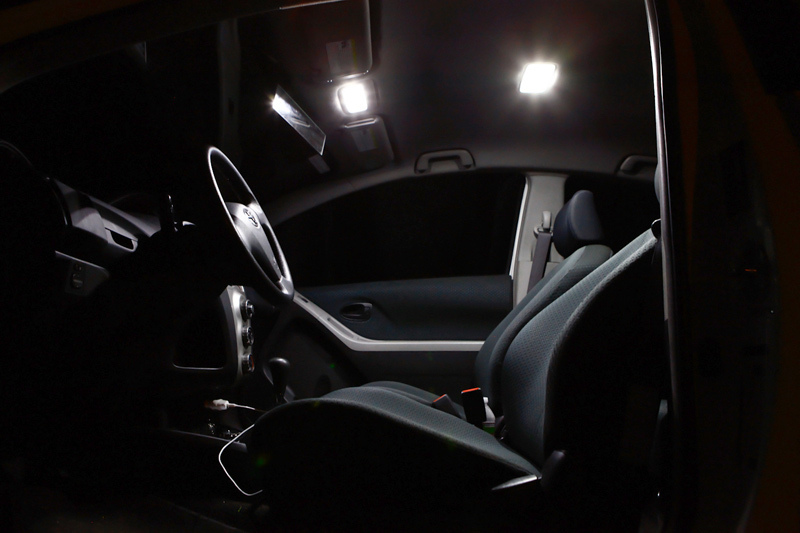 Lasts 30,000 hours on your car, truck, SUV, or van—25 times longer than incandescent bulbs. Cool white color. Not sold in pairs. Price per bulb. Perfect for the rear dome light on my 4th Ram. The cool white colour is awesome. 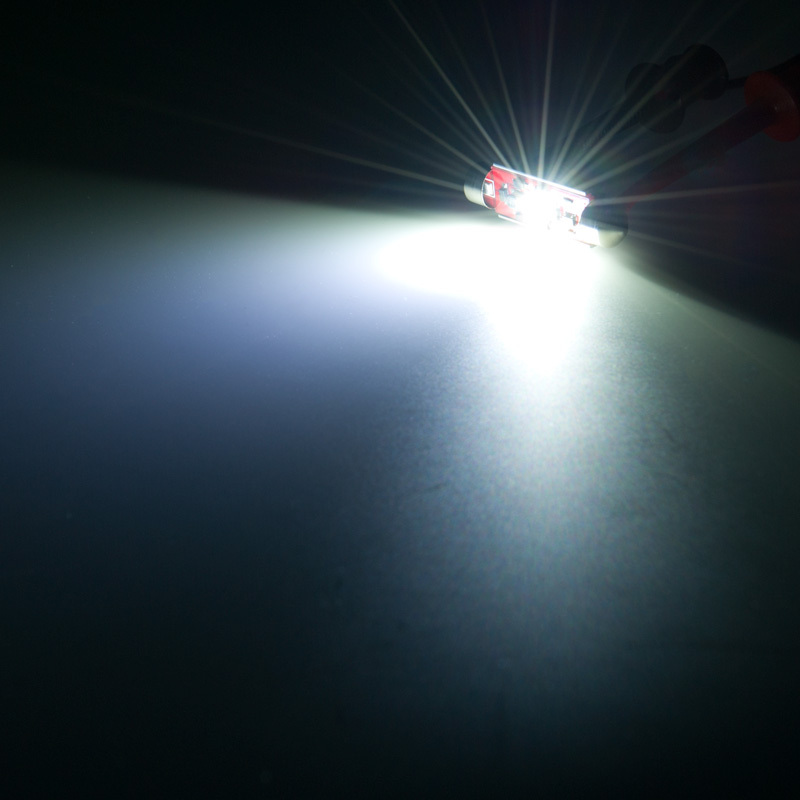 Excellent white light....bright and makes a wider spread than conventional bulbs ....same OEM lens. Notice how bright even the reflection is off the fender! 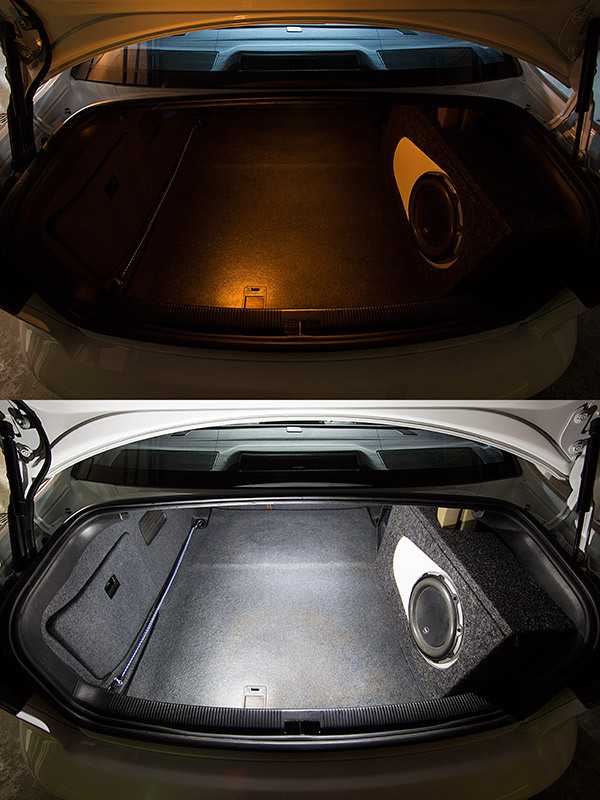 Also replaced the bulb in the trunk with this LED...wow....I can actually see the entire trunk area! These lights are insanely bright and built very well. 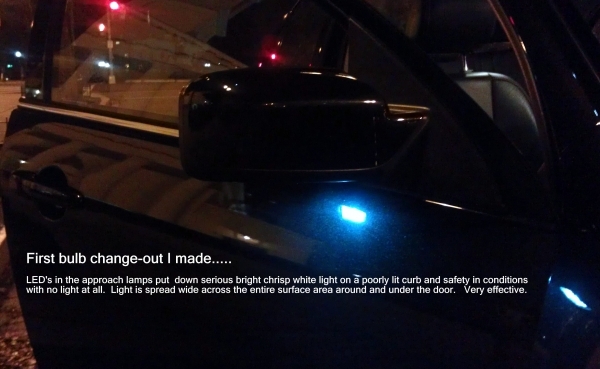 This was for the interior dome light in my 2013 RAM 1500 Reg Cab. Definite improvement over stock standard incandescent bulb. 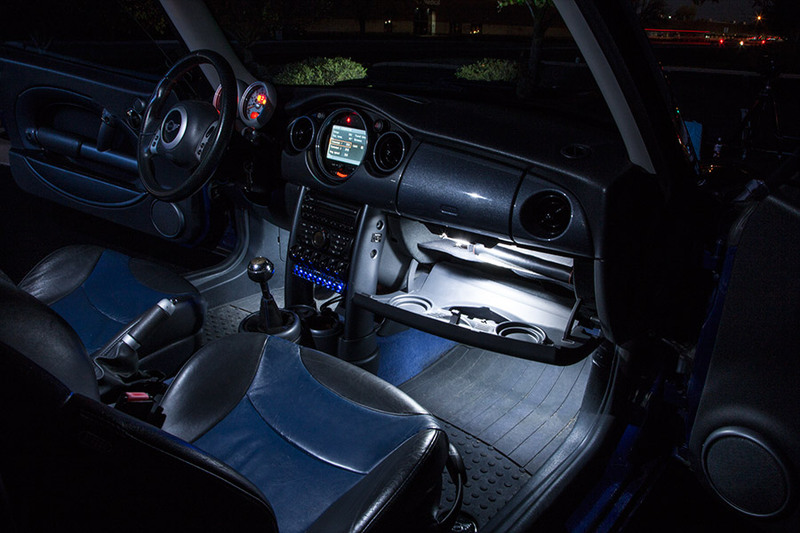 The light is brighter, clean bluish white and has a wider area of illumination. My interior lighting situation is vastly better since this dome light is the only interior light I have in my truck. Being that this is a CAN Bus bulb it behaves just like its incandescent predecessor and even dims when going out which surprised me. 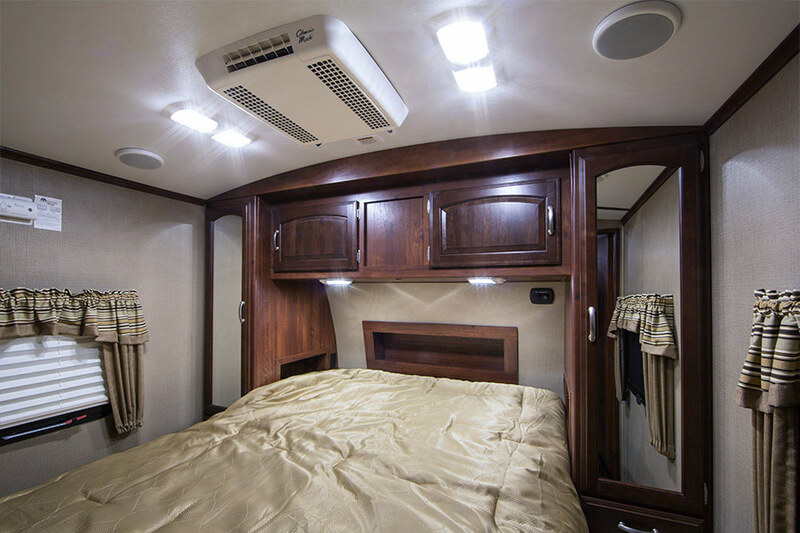 The only issue is that the light did not want to always turn on immediately after installation and was intermittent. Reseating it in the socket seems to have corrected this as it hasn't occurred since that first night. I am overall very pleased and impressed w/ SBL and their products.